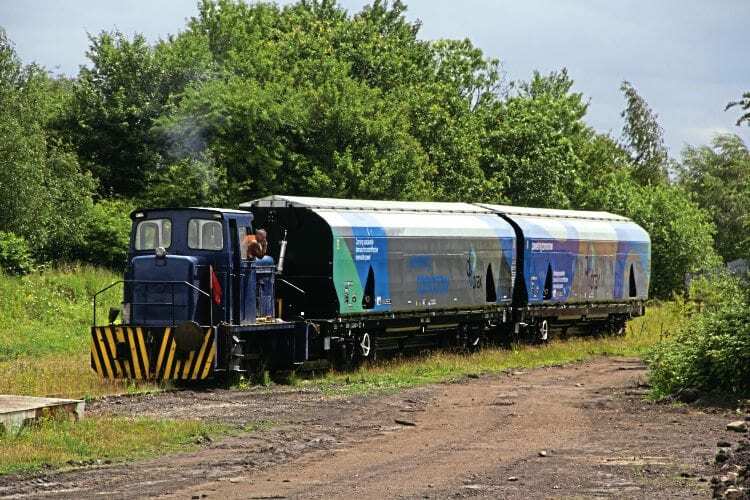 The United Kingdom once boasted hundreds of wagon shops, but today has only one independent company devoted to the construction of new railfreight vehicles. Consultant editor Nick Pigott reports from the works of a great survivor – W H Davis of Langwith Junction. SO accustomed have Britons become to the destruction of the nation’s heavy industry in recent decades that it is sometimes hard to believe that survivors exist. But exist they do and a glowing example can be found tucked away in the delightfully named community of Langwith Junction, near Mansfield. There, wagon builder W H Davis has not only weathered the storms of industrial carnage that have raged since the steam age, but has done so with the aid of an 1896-built engine shed that can still be recognised as such to this day. Langwith Junction depot was opened by the Lancashire, Derbyshire & East Coast Railway and passed through Great Central and LNER ownership before becoming shed 40E and later 41J under the British Railways coding system. 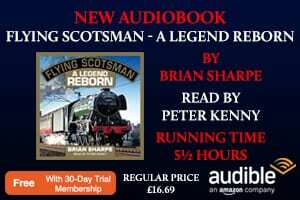 Until as late as the mid-1960s it was home to numerous ‘O2’, ‘O4’ and ‘WD’ class 2-8-0s and even a small stud of ‘B1’ 4-6-0s, but the writing was on the wall when a new diesel depot was opened at nearby Shirebrook. At the time of 41J’s demise in February 1966, the Davis company was already well established next door and so seized the opportunity to expand its premises into the vacated locoshed and thereby save it from demolition. Few observers at the time could have imagined that the building would still be in full-scale railway use half a century later… long after closure of the replacement diesel depot. 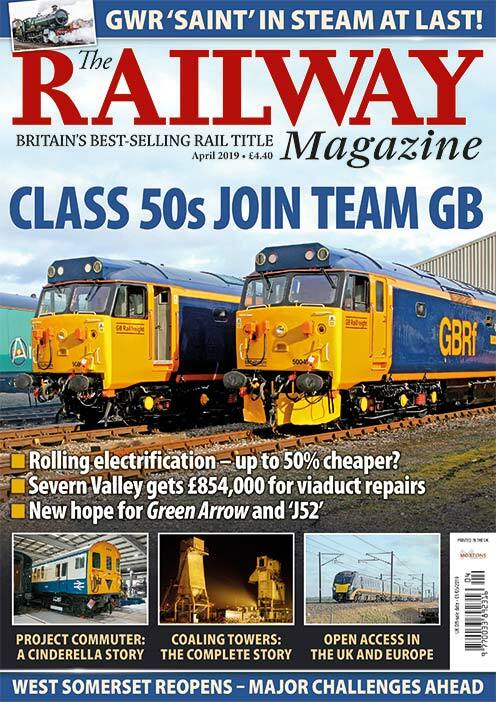 What is so inspiring about the W H Davis story is that the firm is today enjoying possibly its highest-ever profile as builder of one of Britain’s newest and most sophisticated types of freight rolling stock – the 225-strong fleet of bogie wagons that transport biomass fuel to Drax power station in North Yorkshire. These sleek, high-tech vehicles are the largest in widespread daily operation on the UK network, and although there is regret in some quarters that they’ve been designed to carry imported wood pellets rather than coal from local collieries, there is great pride that at least the vehicles are British-built. There will shortly be nine sets of 25 wagons each, the Drax management having recently given the go-ahead for a further 25 to be added to the initial order of 200. Members of this second batch were under construction during The Railway Magazine’s exclusive visit to the works in late 2015, bringing the total number of vehicles built by Davis in the 105 years of the firm’s existence to an estimated 20,000 – an average of about 200 a year, inclusive of modifications, conversions and refurbishments. Coal wagons are very much part of the works’ story too and bogie coal hoppers were being built for GB Railfreight as recently as 2012, along with aggregate hoppers for DB Schenker, flask carriers for the nuclear industry, sleeper transporters for Network Rail, and ‘Super-Low’ intermodal wagons for Direct Rail Services, the latter being a prizewinner in the Rail Freight Project of the Year awards in 2011. The company can trace its roots back to 1908 when William Hollenhead Davis founded a small business in the Doncaster area under the name of W H Davis & Sons Ltd. He initially concentrated on repairs to small wooden-bodied mineral wagons, but at about the time of the 1923 grouping of Britain’s railway companies – no doubt sensing that the change would lead to increased opportunities – he moved the company to Langwith Junction and began manufacturing new vehicles as well. His initiative paid off and he was soon counting the new London & North Eastern Railway as a customer as well as numerous private colliery companies, of which there were scores in the North Derbyshire, Nottinghamshire and Yorkshire areas at the time. 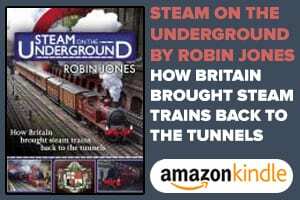 In addition, his firm offered a motor lorry service, sending fitters out to local pits and depots to repair wagons in the coalfields, thus saving owners the trouble of getting crippled vehicles back to the workshops. So profitable was the enterprise that Mr Davis was able to expand by opening a six-road workshop in Neasden, north London, and 24 out-stations at major freight locations such as Toton, Colwick, Barnsley, Doncaster, Bristol and Hull. In Birmingham, he had two depots (one on LMS metals and the other in Great Western territory). Following nationalisation of the main line network in 1948, British Railways chose to build many wagons in its own workshops, but nevertheless awarded contracts to W H Davis in the 1950s for the fitting of vacuum brakes to unbraked wagons, followed in subsequent decades by the fitting of air brakes to vacuum-braked wagons! Ashpans for BR Standard ‘9F’ class 2-10-0 freight locomotives were also fabricated at the Langwith Junction works, along with side tanks for Class 3 locomotives. From the private sector, the firm received orders for the manufacture of steel products such as crane jibs, conveyor belts and coal hoppers, but was able to continue with its core work thanks to wagon-building contracts from the likes of the National Coal Board, British Sugar Corporation and numerous iron and steel, quarrying and timber companies. From the 1960s, the Davis family was assisted in the running of the family business by one of the company’s senior employees, Derrick Sharpe, and under his guidance, the firm became one of the first to capitalise on the manufacture of shipping containers, producing its first for Lynn Ferries in 1968. All went well for several years but in 1983 came the only major crisis in the firm’s history when a lull in orders led to it entering receivership. The factory’s gates were locked and everyone was given notice, but Derrick managed to raise enough investment to buy the company and half the site (the other half went to a non-rail company). Resuming operations under the name of W H Davis (1984) Ltd, he decided to supplement the business by expansion into shipping container manufacture in addition to wagon-building contracts for the likes of Bardon, UKF Fertilisers and RH Roadstone. By that time, the Chinese had got to grips with building standard shipping containers at a fraction of the cost of UK-built ones, so in 2000 WHD began to specialise in design and construction of bespoke containers, especially for the oil, gas and nuclear industries. The company has a number of long-serving employees, evidenced by the fact that chief engineer Lyndon Mellors has been on the staff since 1957 and is still working in his 70s, which must be a record for the modern rail industry. Ian himself has been with the firm since the end of the last century, having joined from Tiphook Rail, and the present workforce includes three generations of the same family on the workshop floor. In 2007/8, Derrick Sharpe decided to sell the company to its present owners, Hampshire-based Porchester Equity, which has been happy to let the business continue largely unchanged. In fact, so well has the firm recovered from its 1980s malaise that it has been able to repeat history by opening out-stations and, through its subsidiary Davis Wagon Services Ltd, now maintains more than 1,000 wagons nationwide. The biomass wagon contract that has seen the Davis profile soar in the last three years came after Drax Power – operator of Britain’s largest power station – asked Lloyd’s Register Rail for help in designing purpose-built wagons following a decision to switch a proportion of its boilers from coal to biomass-burning. Drax is a 100% British-owned company and was keen to work with a UK builder in view of the high quality and fine tolerances the contract required, so Lloyd’s approached W H Davis, knowing that the Derbyshire firm had already converted a small number of HYA coal hoppers for biomass use. At 18.9 metres long, each 30-tonne wagon has a capacity of 116cu m for a load of 71.6 tonnes (biomass weighs a third less than coal), making it almost 30% larger by volume than any other freight wagon currently running on Network Rail. Before introduction of these supersize vehicles, the redundant coal hoppers modified for biomass use had been retro-fitted with covers to keep out the rain, but the new wagons have pneumatically operated tight-seal roofs made of aluminium and a patented flow control system to their four underside doors. Their bodysides are made of stainless steel with the entire surface area (even the blank parts) covered in vinyl. Dependent upon future Government energy policy, there could be a call for more such wagons as other power stations switch from coal. However, for the moment, the nine new wagon sets will continue to ply several times a day between Drax and the ports of Liverpool, Immingham, Hull and Tyne with the pellets, the majority of which are sourced in North America. As biomass has to be kept in huge purpose-built silo bunkers at the docks and is not suited to long-term stockpiling at power stations, the trains have to run on a ‘just-in-time’ basis. In the meantime, the WHD workforce is moving on to its next project – an order for five all-new flask wagons for the Nuclear Decommissioning Authority, placed at the end of 2015 for completion by the autumn. There is also a chance that redundant coal hoppers could be ‘upcycled’ by converting them for aggregates use. Everyday services include shotblasting and repainting of various wagon types in addition to ongoing repair and conversion work. “Most of our customers are British-based,” says Ian. “Export has never been a big part of our portfolio, although we have supplied more than 100 metre-gauge wagons for Magadi Soda, in Kenya, inclusive of on-site commissioning by our own engineers. We’re still able to supply spares for all our customers if necessary. “For new wagons, we buy in major components such as bogies, wheelsets, drawgear and brakework; everything else is produced from scratch here at Langwith Junction using steel bought from British local stockholders. Ian adds that W H Davis has never really needed to advertise at home or abroad, its famous flexibility generating repeat and word-of-mouth orders. Next Post:IN THE MAY 2017 ISSUE – ON SALE NOW!